Create a personalized video from a webform (or any other app in Zapier). Add specific metadata to every new video. Use that metadata to trigger new actions, like for example send an email. We updated our Zapier app in the Action side and created a new app for the Trigger side to help you add more metadata to every new video and to be able to use that metadata within new triggers. Action side: Here is the new app invite: https://zapier.com/developer/invite/19552/4c758b4fe53edb30e411e2b97cb6951f/ (Sezion v2). Trigger side: Here is the new app invite: https://zapier.com/developer/invite/19553/af995028938c5e741b394d097e33cdf2/ (Sezion v2). Don’t forget to let us know your thoughts! 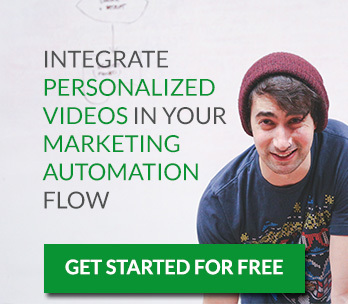 Personalized Videos, Sezion, Zapier how to create personalized videos, how to create videos from a webform, how to generate personalized videos, how to send videos by email, zapier tutorial, zaps to create videos. permalink.